Yesterday I had the pleasure of previewing tenoverten salon at their soon-to-be open location in Culver City. 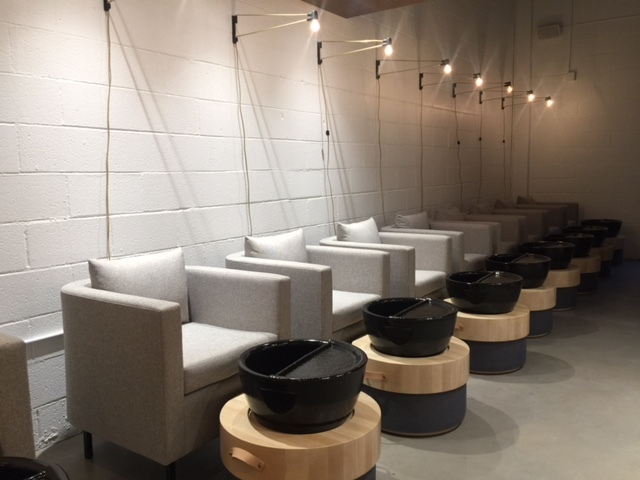 With locations in NYC and Austin, tenoverten is a natural fit for LA with it’s apartment-cozy feel that is quite different from your usual nail salon. Conceptualized by co-founders Nadine Abramcyk and Adair Ilyinsky, the tenoverten brand was created as a response to the lack of proper nail salons in their Tribeca neighborhood. The goal was to create a lovely environment where clients could relax and enjoy expert services in a comfortable and social setting. I chose my polish colors from the tenoverten collection of nail polish and nail care that is free of formaldehyde, dibutyl phthalate (DBP), toluene, formaldehyde resin, camphor, ethyl tosylamide, xylene, and triphenyl phosphate (TPHP), making them 8-free. tenoverten products are also cruelty free, vegan, and made in the USA in a factory that honors the Leaping Bunny Program manifesto which is the corporate standard of compassion for animals. 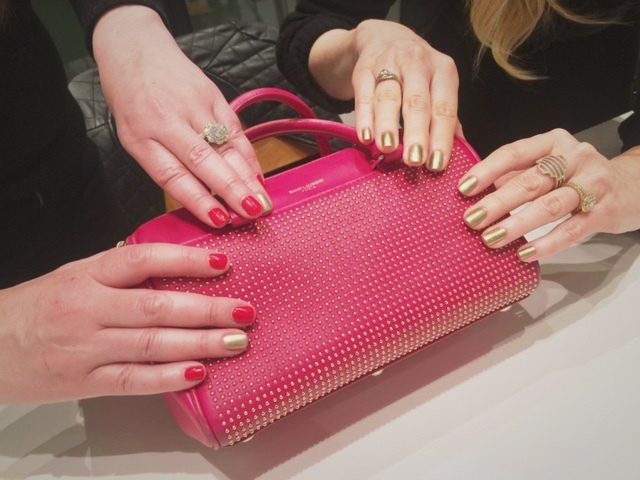 Relaxing in this lovely environment while catching up with my blogger friend Marisa (I got the shiny gold mani and Marisa chose red with gold accents) was the perfect way to get pampered and polished for the busy holiday weekend ahead.